State court administrator Todd Nuccio. More Iowans may end up available to serve on juries through a project underway at the Iowa Judicial Branch aimed at making jury pools more inclusive. The Jury Reform Commission wants to ensure African-Americans and other minorities are fairly represented. 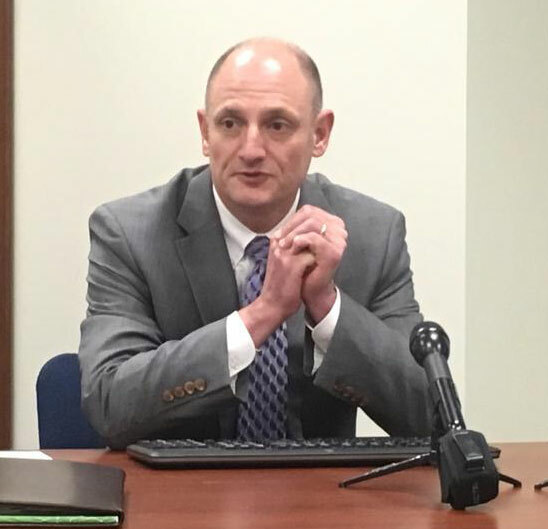 State court administrator Todd Nuccio says they hope to tap lists of Iowans registered with the Department of Revenue, in addition to the current lists from voting rolls and driver’s licenses. “Not so much because the Department of Revenue list is going to increase the number of names that we have access to,” Nuccio says, “but we know that the accuracy of the addresses are better from the Department of Revenue than they might be for the voter or driver lists.” He explains why addresses from the Department of Revenue might be better. “People are more likely to update their address with the Department of Revenue to get access to checks and other things than they are to update their addresses when it comes to those other source lists,” Nuccio says, “So, we’re working in that regard.” Officials say the legislature may have to approve using the tax-collection agency’s information to summon jurors. The Jury Reform Commission also updated jury summons forms and introduced text reminders for jurors to show up in court. Nuccio spoke at the NAACP’s annual summit on disparities in the criminal justice system.